I have to mention a real highlight of my visit this time. My sister knows that the cinema is a real treat for me. On the last morning of my visit she said that we were going to see Bridget Jones’s Baby – I was delighted. But there was so much more to come. We went to see it at the luxury Theatre by Rhodes complex. This is the fabulous way to go to the movies. Arrive in style and sit in the luxury foyer. Order your meal and drinks before entering a cinema that has chairs that are kind of like first class airline seats. Sit back, recline and cover yourself with a satin duvet. Now simply wait for your gourmet meal to arrive and enjoy the movie! The next part of my journey took me to my birthplace, Johannesburg, South Africa where I had a whirlwind week of seeing family and friends. I nick-named myself FedEx Parcel. I wasn’t driving and was so honoured to have friends who literally passed me around from one to another. One morning I started with a breakfast at 7 (handed over by friend 1 to friend 2), I was then collected from the breakfast by friend 3, who handed me back to friend 2 and a new friend for drinks before being collected by friend 1 for dinner! There were many days packed full just like this. It was wonderful, albeit exhausting. We held our first Fabulous Women event in Johannesburg. This wonderful intimate event took place at the gorgeous new EY building. I had the opportunity to share a stage with Bev Hancock and Jill Hamlyn, both outstanding business coaches. Fabulous Women flew in from Durban and drove through the hectic traffic in Johannesburg to meet, network and grow. Of course we had some great goodies to eat too! Another flight and we landed in Port Elizabeth. I fell a little in love with this friendly city and its wonderful people. Numerous cups of coffee were consumed over the two weeks of my visit, but what was more important was the people I met over coffee. I always emphasise the importance of taking online off-line and it was simply joyful to meet members of the Fabulous Women Group in real life. A huge thank you to Bev – who was solely responsible for the FedEx parcel for these two weeks. A huge highlight of my time in Port Elizabeth was the Fabulous Women event – Brand me Fabulous which is getting its own blog post. Attending wonderful art classes with Jubilee at the Shirley Pittaway Gallery. I painted two fabulous pictures in this creative and inspirational place. Tea and cake with the fabulous Shirly Louw. Shirly and I met on Facebook and connected immediately. Meeting for the first time was surreal. I felt like I had found my twin – in so many ways. I know I have made a friend for life. Shirley is a wonderful artist and will be featuring on the blog soon. 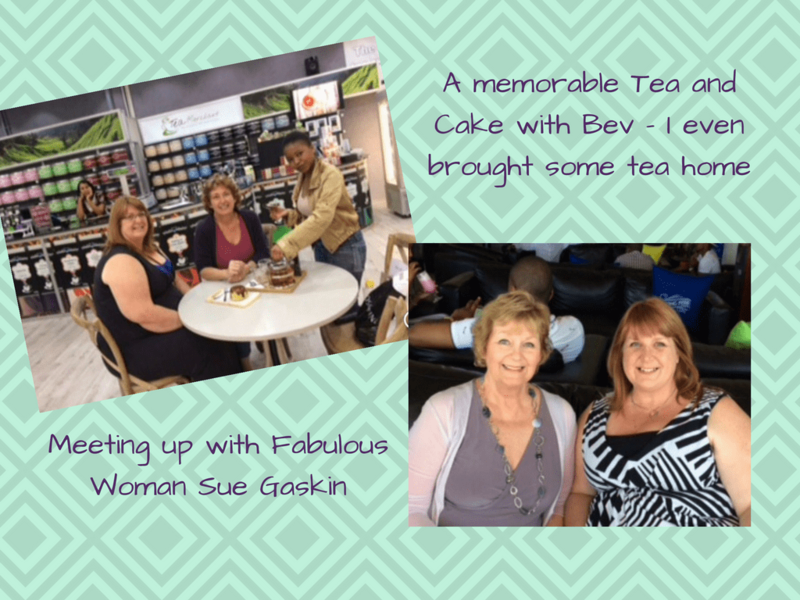 I also had a wonderful drink with another fabulous woman Sue Gaskin – and got to discuss all things blogging. We are lucky to live in an age when social media allows us to ‘meet’ so many people online. Meeting in real life however brings it all into technicolour. Tea and shopping with my special friend Bev. We have been friends for over 45 years. Having time to simply do girly stuff was special in a way that cannot be explained. As Bev would say when you have been friends for that long you have to stay friends as you know too much about each other. 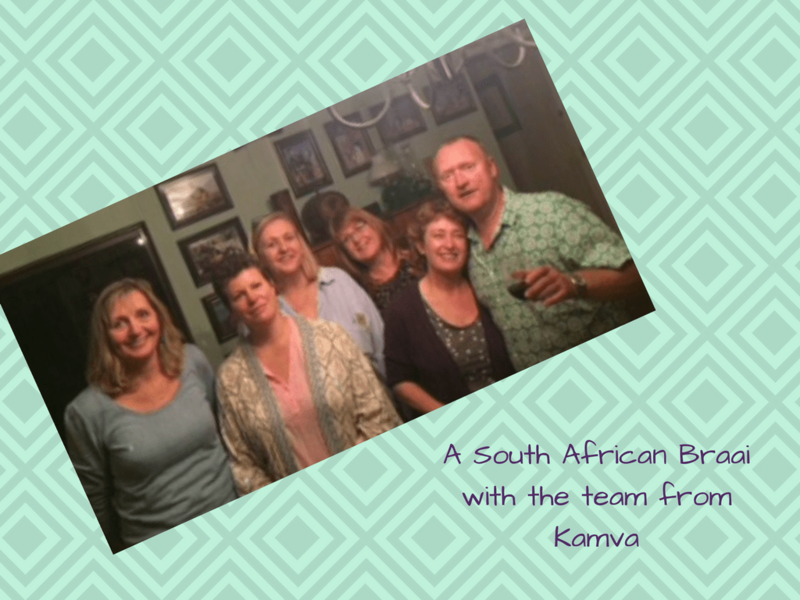 Meeting up with Bev’s colleagues – Xhanthi, Wendy, Coenraad, Guy, Gill and Kerstin. What a wonderful group of people all who bring their own special brand of fabulous to the table. Coenraad and Sandra hosted a wonderful braai (barbeque) where I was encouraged to be very adventurous with my eating! Reconnecting with another old friend Coral-Lynn – who flew down for the event. Coral-Lynn inspires me every day through her twitter inspirations and annual calendar. We had a great dinner and I tried churros for the first time. (I loved them) I was so busy eating I forgot to take a photo! After the Brand me Fabulous event it was time to start wending my way home. The first flight took me back to my parents where my mom treated me to a fabulous dress, and then back to Dubai for another stop in with family. 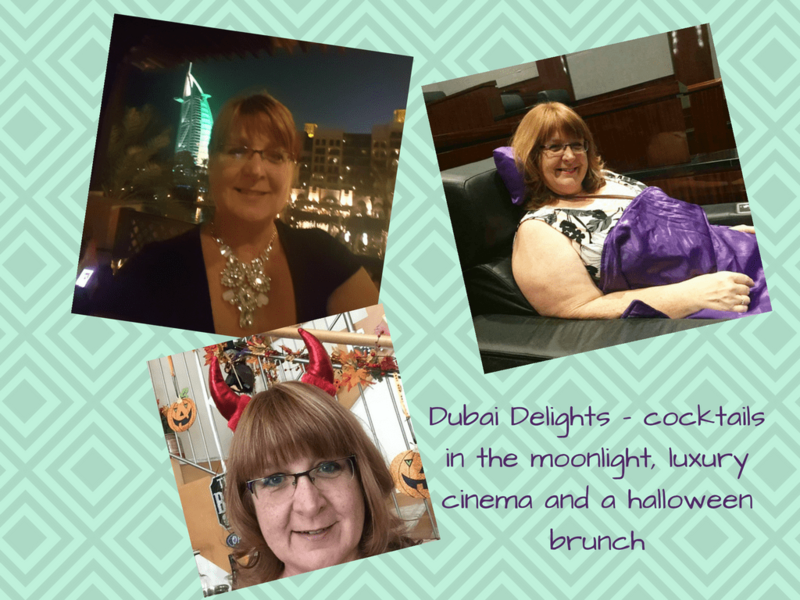 In a very short stop-over I managed to fit in a visit to Linda’s wonderful Halloween tea and some super drinks and snacks overlooking the Burj al Arab. The lights in Dubai are really special. Finally I arrived home to my man and my puppy dog and my own bed. Just in time to celebrate my son’s 21st. As I am sure you can imagine, I have a whole list of blog posts to write – many of them inspired by my travels. I hope you enjoyed my little life update. .